How do you filter the content in the article downloader? How do you filter the content or titles in the article downloader to only show ones with that have a keyword in it? 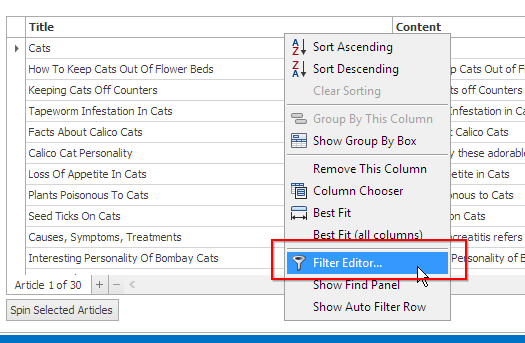 You need to right click on the column header and pop up the context menu.